The fastest growing sector of the fixed income market is the market for collateralized debt obligations (CDOs). Fostered by the development of credit default swaps (CDS) on all types of indexes of corporate bonds, emerging market bonds, commercial loans, and structured products, new products are being introduced into this market with incredible speed. In order to keep up with this dynamic market and its various instruments, you need a guide that provides you with the most up-to-date information available. That's why Douglas Lucas, Laurie Goodman, Frank Fabozzi, and Rebecca Manning have created Developments in Collateralized Debt Obligations. Filled with in-depth insights regarding new products, like hybrid assets in ABS CDOs and trust preferred CDOs, and detailed discussions on important issues-such as the impact of CDOs on underlying collateral markets-this book will bring you completely up to speed on essential developments in this field. 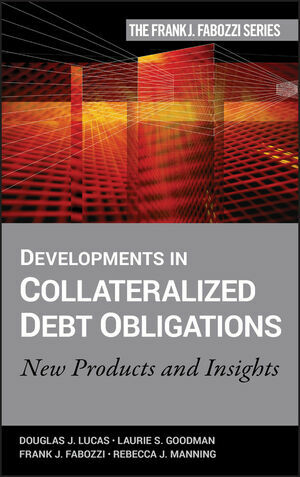 Written in a straightforward and accessible style, Developments in Collateralized Debt Obligations will enhance your understanding of this ever-evolving market-and its numerous products. Douglas J. Lucas is Executive Director at UBS and head of CDO research. He has an MBA from the University of Chicago. Laurie S. Goodman, PhD, is co-Head of Global Fixed Income Research at UBS. She holds a PhD in economics from Stanford University. Rebecca J. Manning is an Associate Director in the CDO Research Group at UBS. She holds an MBA from The Wharton School at the University of Pennsylvania. CHAPTER 1 Review of Collateralized Debt Obligations. CHAPTER 2 Impact of CDOs on Collateral Markets. Collateralized Loan Obligations and the High-Yield Bank Loan Market. Structured Finance CDOs and the Mezzanine Mortgage ABS Market. Trust Preferred Securities CDOs and their Collateral Market. CHAPTER 3 CDO Rating Experience. CDO and Tranche Rating Downgrade Frequency. CDO “Defaults” and Near “Defaults”. PART TWO Developments in Synthetic CDOs. CHAPTER 4 ABS CDO Collateral Choices: Cash, ABCDS, and the ABX. Growth of the Subprime Synthetic Market. Importance of ABCDS to CDO Managers. Fundamental Contractual Differences—Single-Name ABCDS/ABX Index/Cash. What Keeps the Arbitrage From Going Away? The Cash/ABCDS Basis and the CDO Arbitrage. Single-Name ABCDS versus ABX in CDOs. CHAPTER 5 Hybrid Assets in an ABS CDO. Advantages of Hybrid Assets in an ABS CDO. Illustrative Hybrid ABS CDO Structure. CHAPTER 6 Synthetic CDO Ratings. AAA Ratings and Expected Loss versus Default Probability. 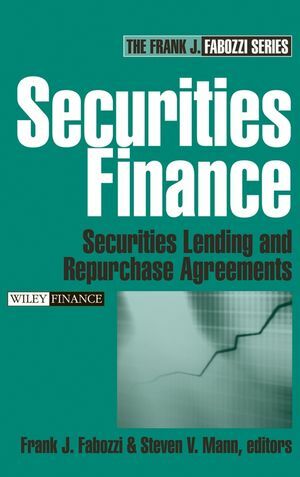 CHAPTER 7 Credit Default Swaps on CDOs. CDO Credit Problems and their Consequences. Cash CDO versus CDO CDS. Rating Agency Concerns on CDOs that Sell Protection via CDO CDS. PART THREE Emerging CDO Products. Bank TruPS Prepayments and New CDO Issuance. Assumptions Used by Rating Agencies. CHAPTER 9 Commercial Real Estate Primer. CHAPTER 10 Commercial Real Estate CDOs. CHAPTER 11 CRE CDO Relative Value Methodology. Whole Loan CREL CDOs versus High-Yield CLOs. Investment-Grade CMBS CDOs versus Mezzanine Structured Finance CDOs. Relative Value among CRE CDOs. PART FOUR Other CDO Topics. CHAPTER 12 Rating Agency Research on CDOs. Using Rating Watches and Outlooks to Improve the Default Prediction Power of Ratings. CHAPTER 13 Collateral Overlap and Single-Name Exposure in CLO Portfolios. Excess Overcollateralization and Excess Overcollateralization Delta.